News brands prove their worth to the ad industry, and Sesame Street's new character is Julia, a puppet with autism. Advertising campaigns using UK news brands are "36% more likely to deliver very large profit growth and 85% more likely to generate customer acquisition", according to a study of the IPA Effectiveness Awards commissioned by Newsworks. Peter Field, who led the analysis of 108 campaigns, found that activity in news brands is more than twice as likely to "deliver a reduction in price sensitivity and an increase in customer loyalty". This reminder about the importance of context and the value of trusted news brands is well-timed given the current furore over brand safety on YouTube and other digital sites. 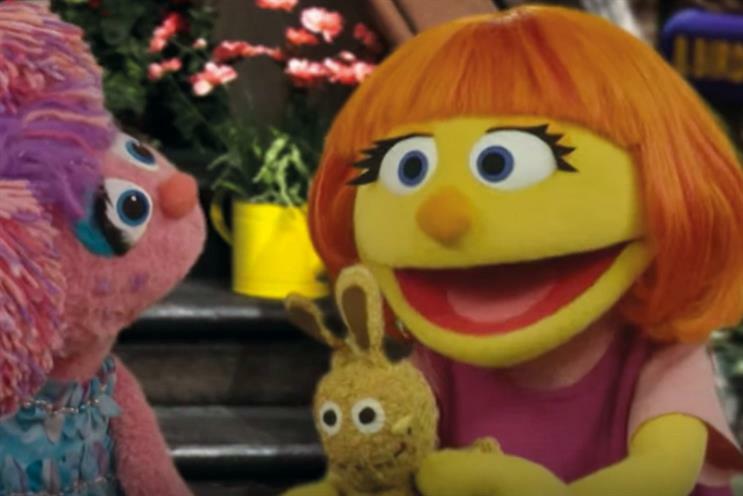 Sesame Street proved why it is still one of the most-beloved TV brands with a new character, Julia – a puppet with autism. The effort to show children and their parents what autism looks like and how to support autistic people was praised by autism awareness and advocacy groups. Julia’s puppeteer, Stacey Gordon, has an autistic son and explained how important it is for kids with the disorder to see themselves reflected in popular culture, and for their peers to see it. Julia is a brilliant sign of changing attitudes. News outlets trying to get ahead of each other to break news is what journalism is all about. But in today’s post-truth era, it is more important than ever to check the facts. So Channel 4 News made a bad mistake by hastily identifying the wrong person as the perpetrator of last week’s Westminster terror attack. Meanwhile, i was forced to change its bloody front-page image after a backlash on social media for being in poor taste. At least the Johnston Press title apologised quickly.